They told people not to buy their jackets but instead repair the ones people already have. It is a huge company that wants to make a difference rather than sit back in "corporate greed," which I think is amazing because huge companies like this could easily not worry about stuff like that. 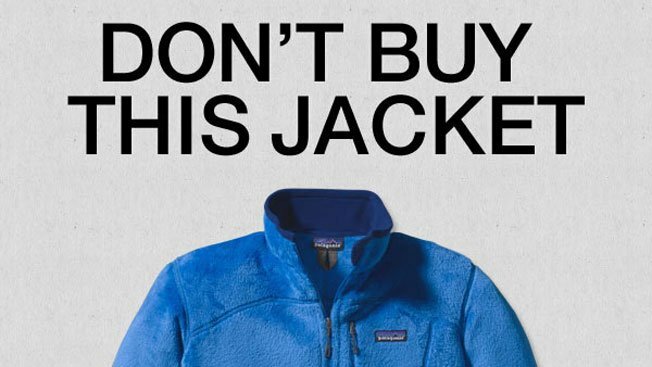 Patagonia, however, changes their products' materials to make them more environmentally safe. This is mostly to say that Patagonia is releasing a 10 year edition of a book that is basically their business manual but also so much more than that. As soon as I saw this, I knew it had to be added to my reading list because I love how Patagonia does business so much. I am so excited to read this at some point. I actually just sent Will a link as a (huge) hint for a Christmas present.